In July 2013, WilkinsonEyre was appointed for Bank Station Capacity Upgrade, following a twelve month tender process and design exercises. The extensive project includes the creation of a new southbound platform for the Northern Line; the existing platform will be converted into a concourse in addition to new direct links to the Central Line and DLR platforms being provided to ease congestion and provide better connectivity within the station. 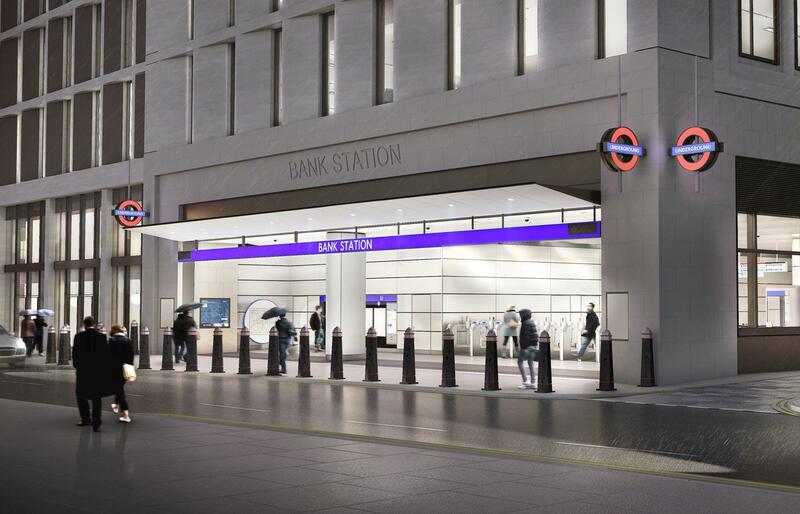 A new station entrance at street level will provide direct access to the Northern Line from Cannon Street. The demolition of a number of existing buildings to form the construction site and proposed station entrance provides the opportunity for a new commercial building above the station which was successfully designed to gain planning approval by WilkinsonEyre. WilkinsonEyre completed the detailed design in July 2017 and are now providing site support services through to completion.